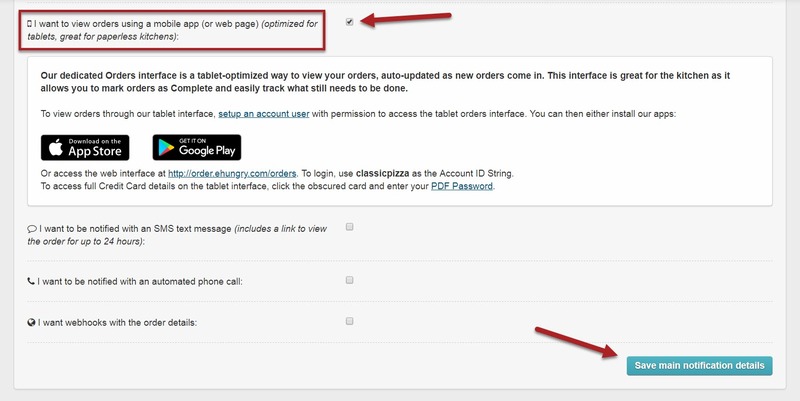 Our dedicated Orders interface is a tablet-optimized way to view your orders, auto-updated as new orders come in. 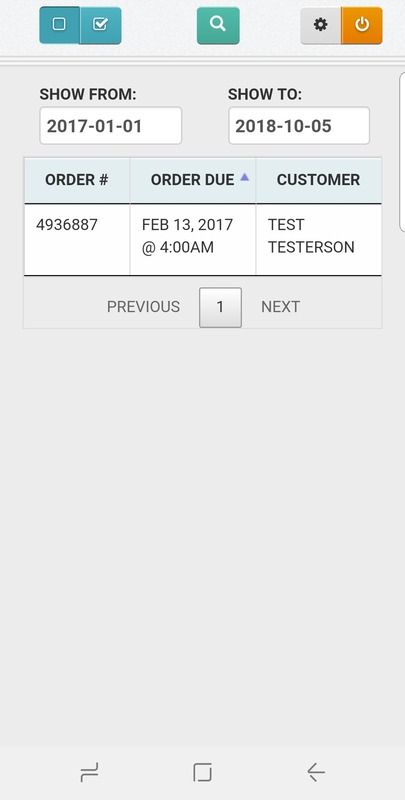 This interface is great for the kitchen as it allows you to mark orders as Complete and easily track what still needs to be done. 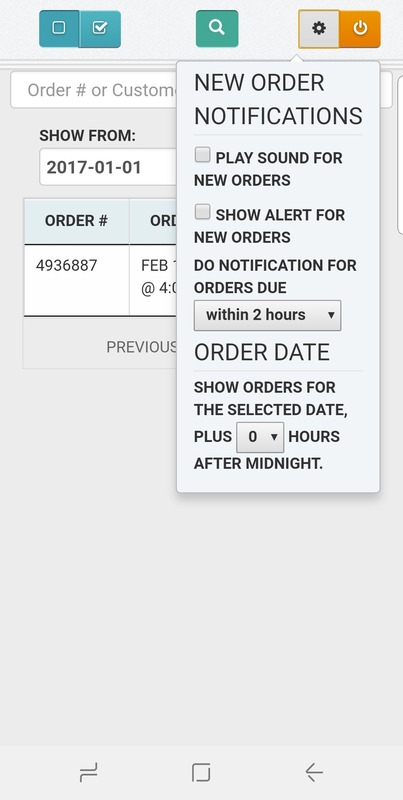 Scroll down and check the box next to "I want to view orders using a mobile app..." and click the Save main notification details button. 2. Click setup an account user link to make sure you have an Account User with the correct permissions. 3a. If you HAVE an Additional User set up, click the pen and paper icon to check that you have an account that "Is permitted to access the tablet orders interface". 3b. 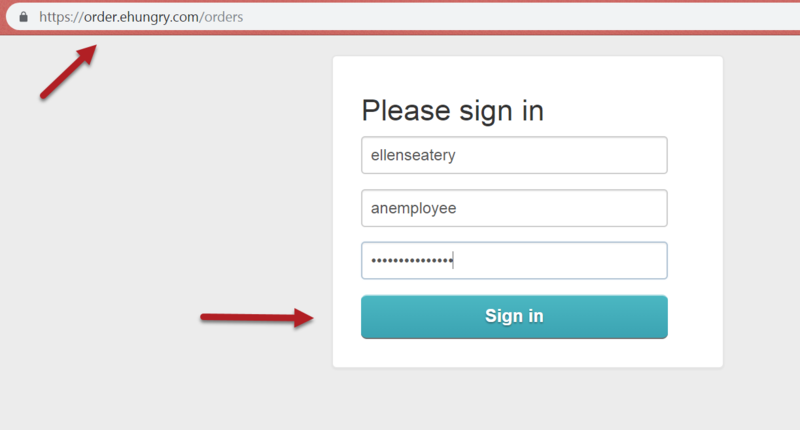 If you DO NOT HAVE an Additional User set up, click Add a New Employee Account, and fill in the boxes provided. Making sure the "Is permitted to access the tablet orders interface" box is selected. 4. 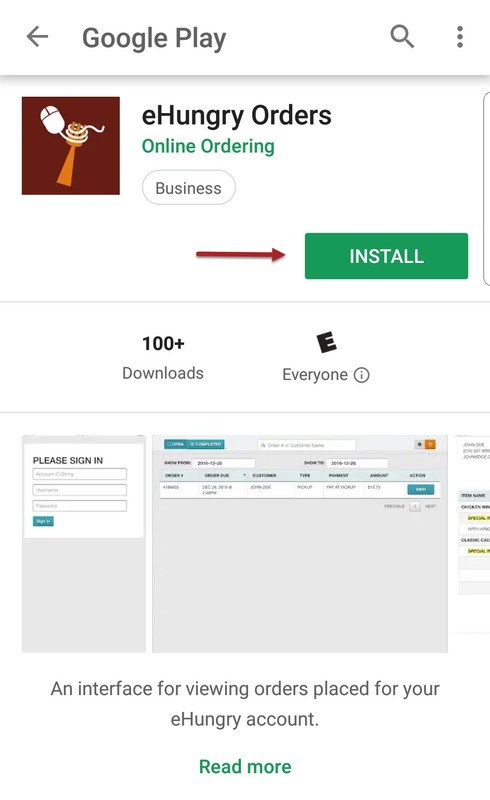 You can now choose to download the eHungry Orders IOS app, Android app (through Google Play only), or use the web interface with your tablet Internet Browser (URL: https://order.ehungry.com/orders). 5. 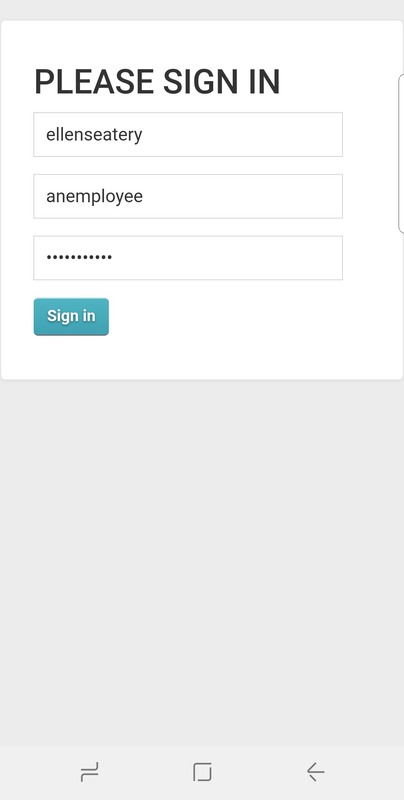 Sign in using your Account ID String (see #2 screenshot above), and the Username and password of the Additional user (from #3a & 3b above) with the tablet orders interface permission enabled. 6. Here you can see your orders for a range of dates, and filter by open and completed orders. 7. Click the gear icon in the top right to set up notification options for when you receive orders.